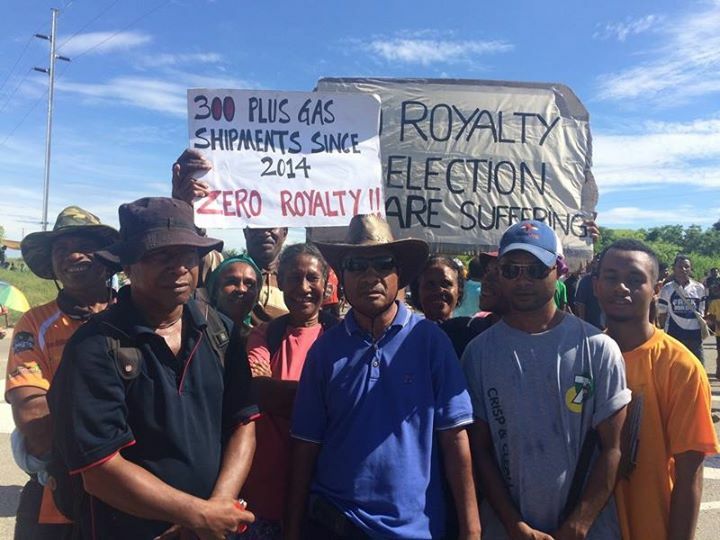 Frustrated land owners of 4 villages in the Central province blocked the entrance towards the LNG plant site today protesting for their long awaited payments of 3 years. Mr Judah Matt Baru of the Porebada Besena Association said that they have been told by the state and Exxon Mobile that their payments will be given once the first shipment comes out. However this did not eventuate. 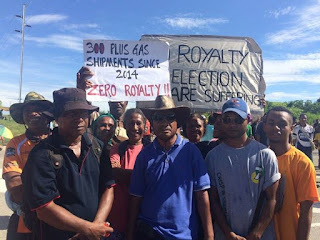 He called on the government and the Minister responsible Nixon Duban to address the 4 villages, Papa, Lealea, Porebada and Boera or they will close off the gates towards the plant site. Meanwhile, another landowner representing the Papa village Mr Renagi Koairi also said that their accounts were officially launched in August 2016 clearing them to receive their payments however they have not received anything as yet.